Chalna village is situated on Petrozavodsk-Suojärvi railway line. Building of the lutheran church on Shosseinaya street was renovated using money received from Virrat parish (Finland). 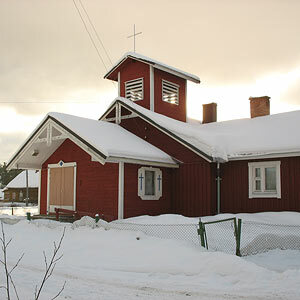 December 7, 1996, the church was blessed by Ingria Evangelistic-lutheran Church bishop Aarre Kuukauppi. In the beginning of 2000s a building of Derevjanka station former shop was bought and the parish house was opened there.